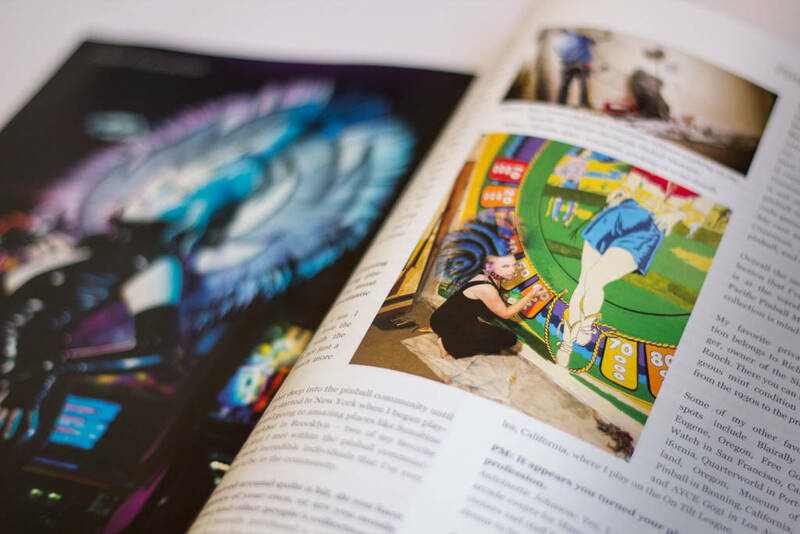 The fifth edition of Pinball Magazine has been published and is now shipping, and if previous issues were likened to books, this one is more like an encyclopaedia. 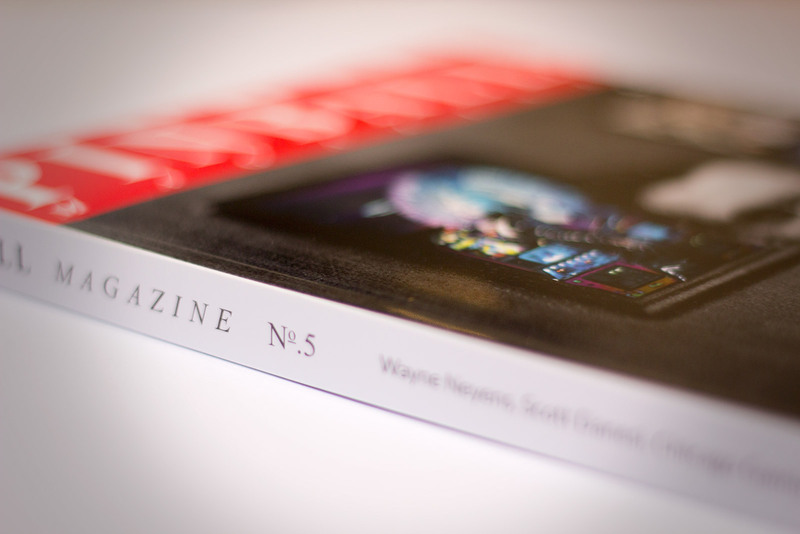 This new issue features as its main subject and cover story, the life, career and creations of game designer Wayne Neyens. 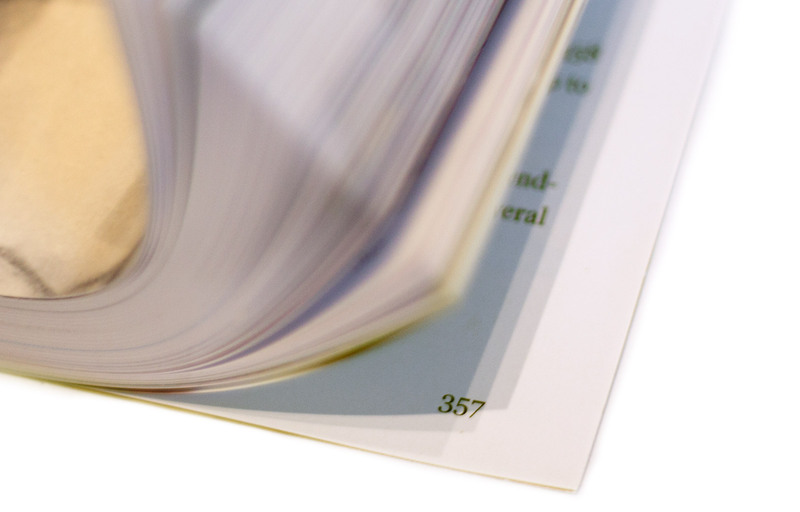 Everything about the publication and its subject can best be described as ‘extreme’. Wayne himself recently turned 100-years-old, while his number of game designs to go into production exceeds 150. 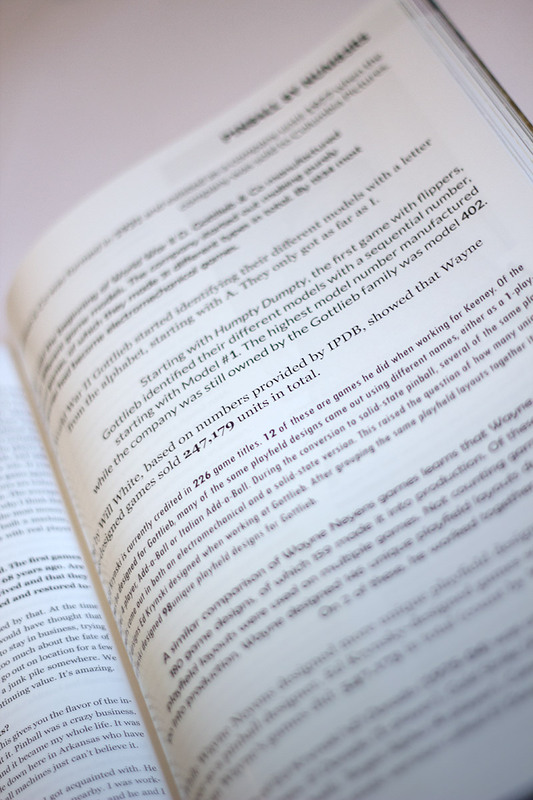 So, it’s only to be expected that the detailed coverage given to Wayne and his life creating pinball machines also results in an ‘extreme’ number of pages. 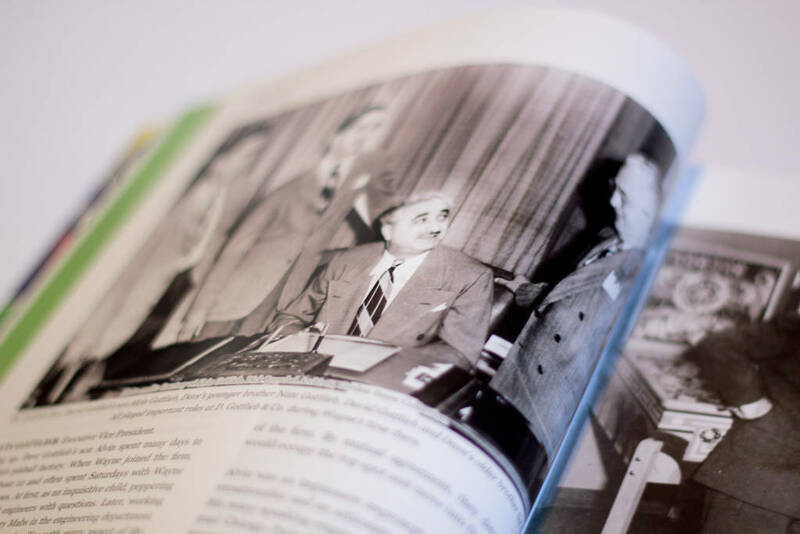 In fact, the 360 pages which form issue 5 are the maximum Pinball Magazine’s printer can squeeze in without reducing the thickness and quality of the paper used. As a result, the magazine weighs in at 1.33kg (47 ounces) and is by far the largest issue to date. 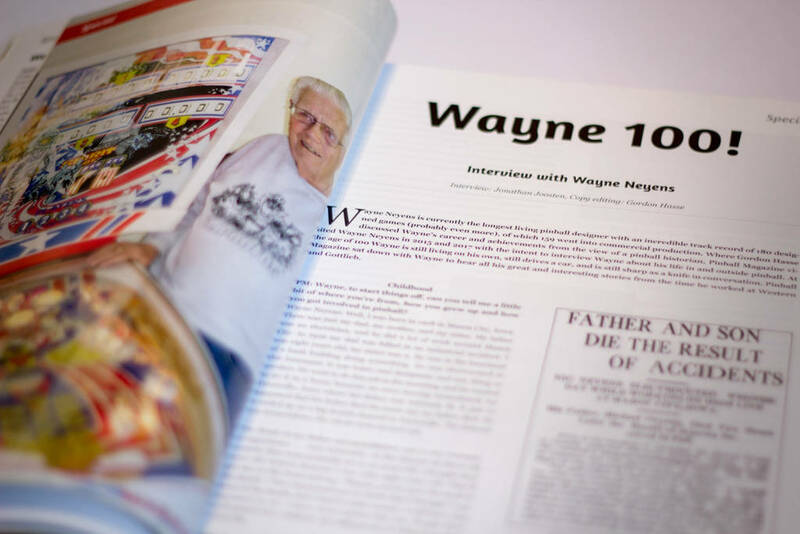 The magazine is not all about Wayne but the first 260 pages are, and they begin with a 33-page examination of Wayne’s place in the history – not only of pinball, but much wider American culture, design and manufacturing, authored by pinball historian Gordon Hasse. Gordon write with a unique style of prose which brings Wayne’s story to life, giving context to the cultural significance of his game themes and innovative designs. 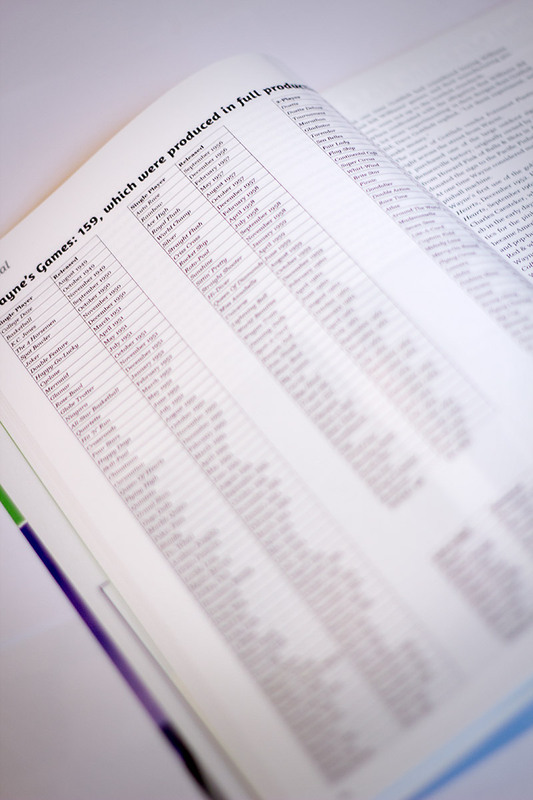 He also lists all the key players working with Wayne in the industry during his most prolific years, an in particular the various members of the Gottlieb family. He concludes this first section with a selection of fun facts about Wayne and his designs, before listing all 159 games created by Wayne which made it into production. 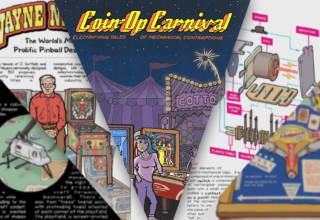 The second, much larger section is an illustrated extended interview with Wayne where he talks about how he got into the pinball business, how the business operated at that time, and the technology they were using and developing, before leading into a detailed examination of each of his designs. 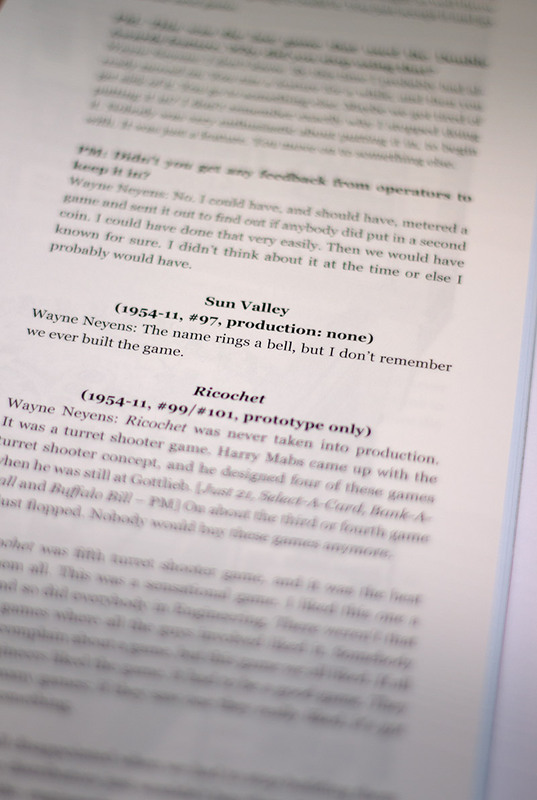 There are photographs or flyer images of each game, while Wayne recalls details of the background to its creation and any especially notable features. 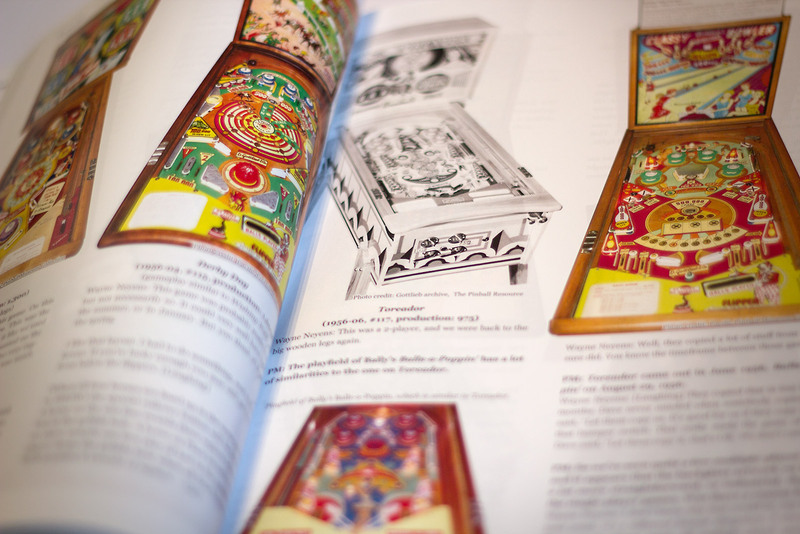 The pictures are large enough to see most playfield details, which helps to account for the extended page count. With so many designs over such an extended career it would be hard for anyone to remember every game. However, Wayne had amazing recall of the tiniest details throughout his life and there are only a few instances where he has little recollection of a particular title. Even then, these tend to be games which were never produced. 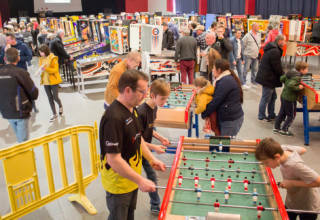 The interview concludes with a Pinball by Numbers section listing a series of statistics and factoids about Wayne’s and Gottlieb’s numerous designs. 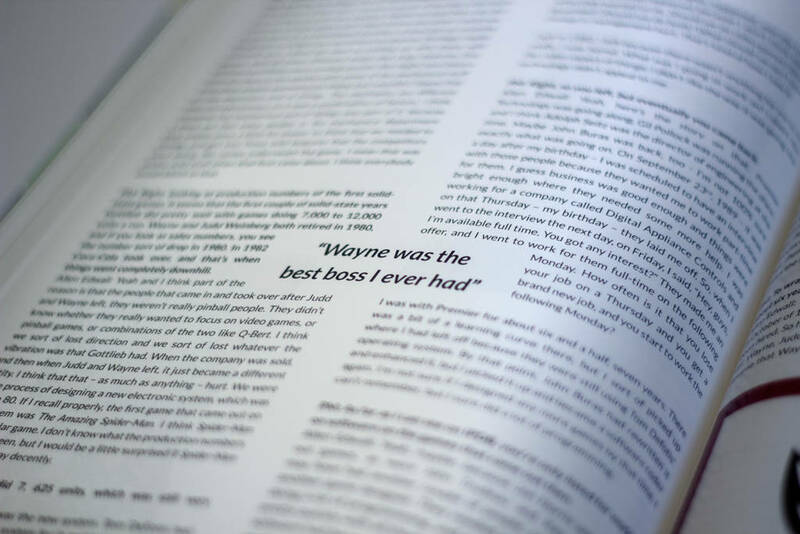 The magazine is not finished with Wayne yet, though. 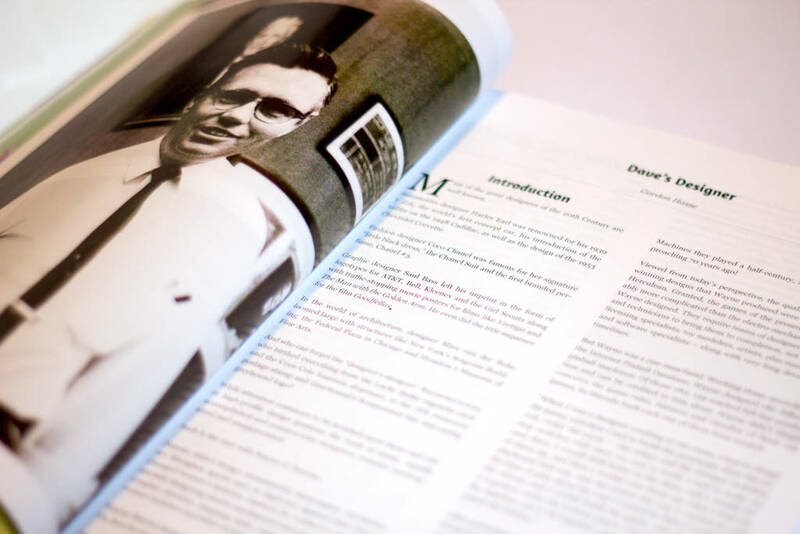 The next section features the customary interviews with friends, colleagues and admirers. 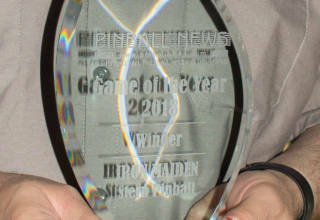 In this issue it is Allen Edwall, John Buras, Jon Norris, Larry Zartarian and Bob Herbison. 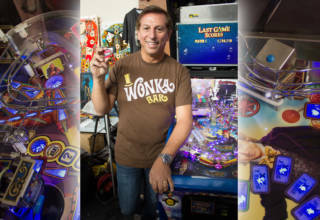 Then the magazine turns to a series of interviews with others in the pinball business, although the first of those has a strong affinity with Gottlieb and many of Wayne’s designs as it is owner and operator of The Pinball Resource, Steve Young. 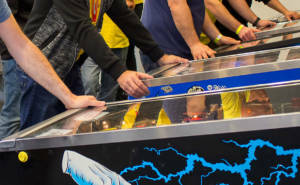 Steve talks about the pinball parts business, how he became involved in supplying parts to others, the state of The Pinball Resource now with its six or seven staff, how he came to be the custodian of the Gottlieb archives and what he plans to do with it. Subsequent interviews are with Randy Peck, Scott Danesi, Jack Danger, Doug Skor, Gary Stern, Antoinette Johnson and Michael Pupo. Randy talks about his two-storey Peck’s Nu-Pike Arcade and ballroom he has built inside an industrial warehouse in California. 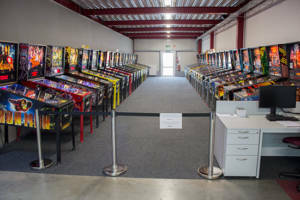 We were fortunate to visit it recently and can attest to his amazing collection of pinballs, and in particular the wedgeheads and woodrails. 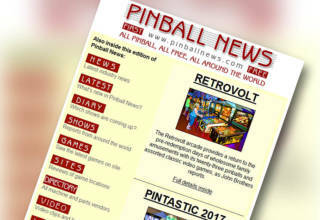 Scott Danesi has a long interview covering his introduction to pinball, his earlier home-brew projects with Judge Dredd and Earthshaker, and his work at Pinball Life which eventually led to his creation of the Total Nuclear Annihilation game which is currently being manufactured by Spooky Pinball. Jack Danger is a well-known pinball streamer through his Dead_Flip Twitch channel. 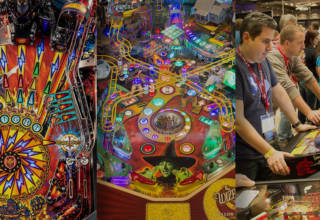 He discusses how his focus changed from World of Warcraft to pinball, the rig he uses to stream games, and how is now Stern Pinball’s Global Ambassador, streaming all their latest titles live from the factory. 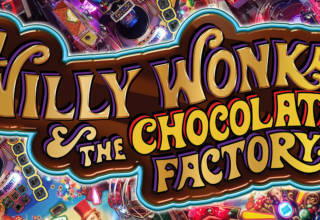 In the Churchill Cabinets interview, Doug Skor talks about getting the licence to remake various Bally/Williams titles, how they developed the games beyond the original concepts to add extra features such as toppers and high-resolution colour displays, and the appeal of these classic titles to operators. Of course, since that interview Doug has joined Stern Pinball to look after their international sales. So, the next interview is with Gary Stern who discusses hiring Doug, how it will affect his own role dealing with distributors around the globe, how the company had transformed over recent years and where they now focus their marketing and promotional activity. If you don’t attend pinball shows in the US you may not be familiar with Antoinette Johnson, but even then you may have seen her in videos, streams and photo reports. Her amazing hair creations mark her out from across any pinball hall, as she works for Marco Specialties setting up and running their stand. But there’s a lot more to Antoinette, and we find out all about her artistic, photographic and performance skills. Michael Pupo from Flipper Fidelity concludes the interviews section, as he talks about upgrading pinball sound systems with his Flipper Fidelity products to realise the true potential of pinball audio – something which is often the first to be cut when cost-reducing a game at the manufacturing stage. The magazine concludes with a brief look at the Terra Technica museum/arcade in the Czech Republic as featured in Pinball News last year. 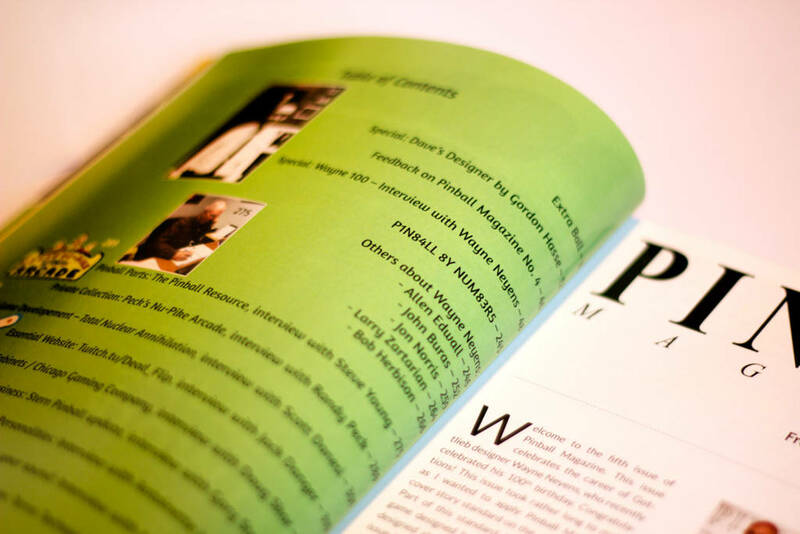 The previous issue was published at the end of 2016, but given the depth of the content it’s understandable how it has taken 20 months to compile and publish issue #5. The price has risen to €24.95 from €17.50, but the actual price-per-page has dropped slightly and it’s doubtful anyone could say the extensive, informative and entertaining content is not worth the price, or more. 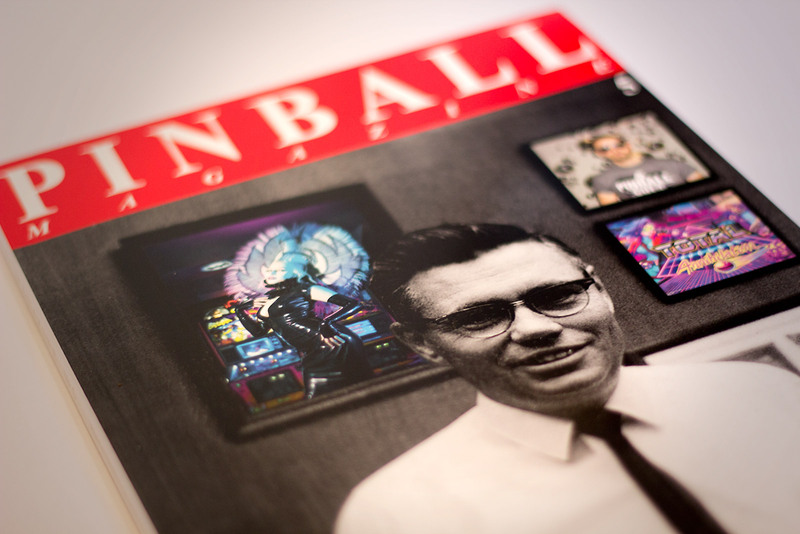 We said earlier that this issue is encyclopaedic in scope, and as such it stands as the definitive story of Wayne Neyen’s life and works in and around pinball, while enlightening readers on how others are taking Wayne’s legacy and continuing to bring enjoyment to players of the silver ball. Pinball Magazine issue 5 is available now from the magazine’s web shop. 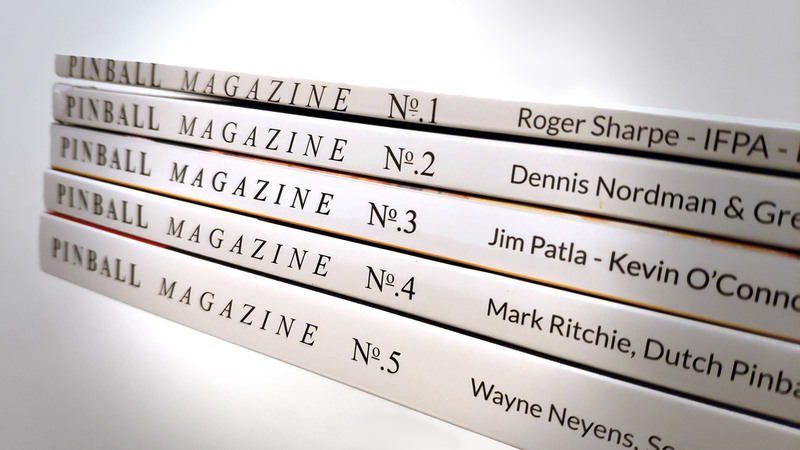 Issue 5 is also available from Amazon in the US, so see details on the magazine website for availability and links to the best places to purchase it. I have the first four issues. Hoping to pick up number five at Pinagogo in Dixon, Ca. next month! Just email Jon directly. He is always helpful. 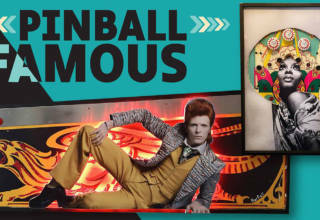 Jonathan has created with Pinball Magazine a monument for people who meant a lot for the pinball industry. 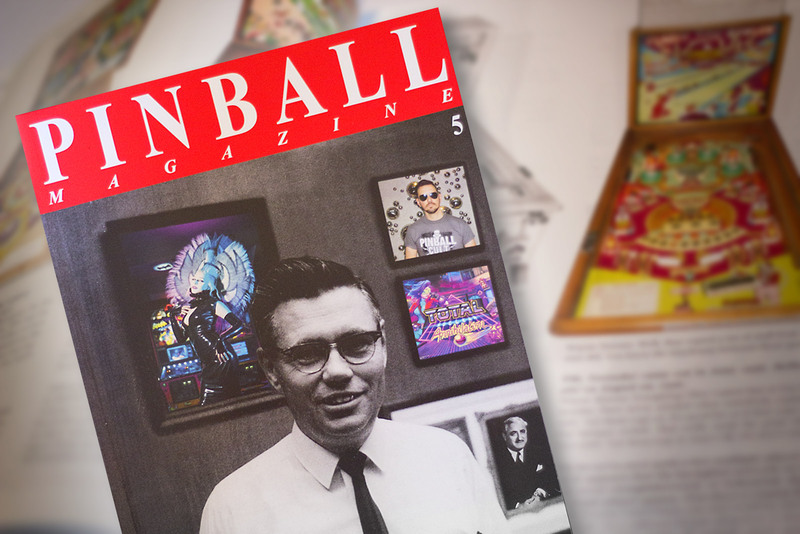 It feels you are a spectator of the birth of pinball through the eyes of Wayne Neyens when reading the Pinball Magazine number 5. Hi, new to this. Where can I purchase these from England? Also can I get all the previous editions from somewhere?